KleenGuard Personal Protective Equipment (PPE) enables rather than inhibits – allowing for maximum productivity and safety for you and your employees. Kleenguard A20 Breathable Particle Protection Coveralls with Hood are designed to move with you – and your employees – while protecting against hazardous and non-hazardous dust. 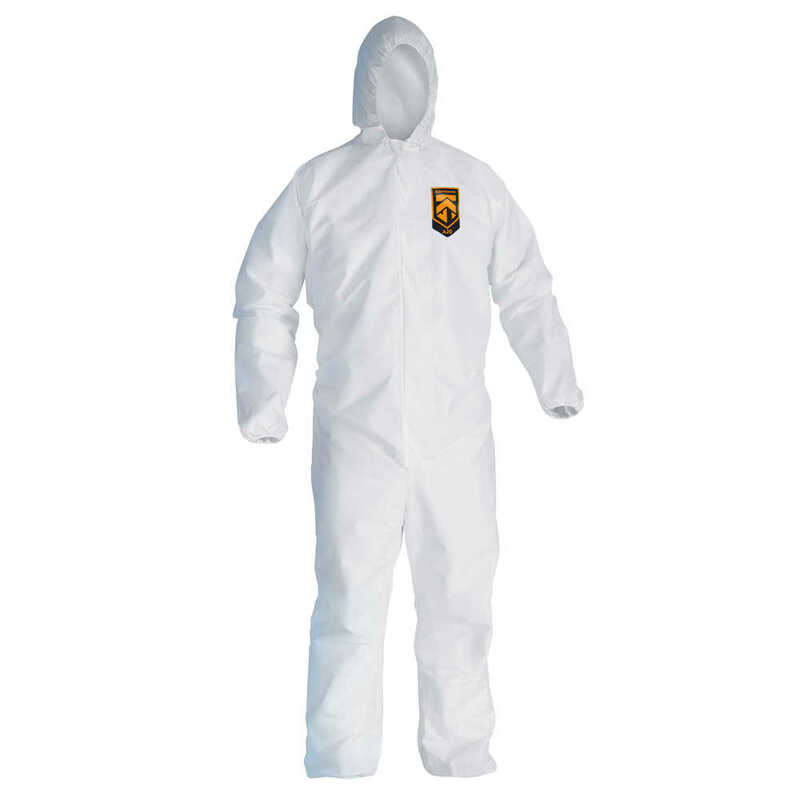 These protective garments offer superior particle holdout coupled with unmatched comfort attributes. The A20 fabric is comprised of five layers of stacked barrier protection (SMMMS) against hazardous particles. Features to provide more protection include the seamless front (for primary exposure area), 1 inch zipper flap and elastic wrists and ankles. They feature Reflex design, which offers excellent fit (with elastic back) and freedom of movement. The seamless front provides more protection to the primary exposure area. They are a popular choice for dusty environments such as laboratories and remediation, as well as pesticide applications and as decontamination modesty garments. Making the right Personal Protection choice is difficult. Perform with distinction with KleenGuard Personal Protective Equipment (PPE).